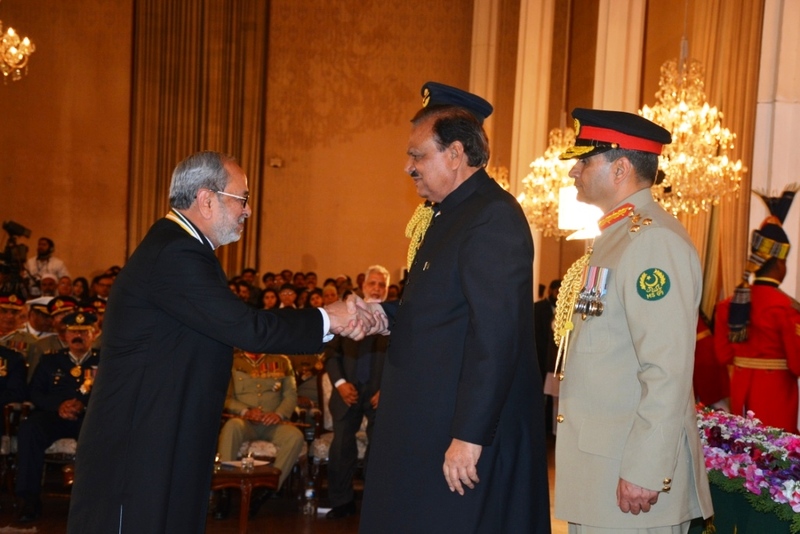 Dr. Syed Muhammad Junaid Zaidi, H.I., S.I. Dr. S. M. Junaid Zaidi, H.I., S.I. is the Founder Rector of the COMSATS Institute of Information Technology (CIIT), Pakistan’s first exclusive institute of information technology. The CIIT was awarded Charter by the Government of Pakistan in 2000 and in less than a decade, it has grown into a quality institution of higher learning under his able leadership. CIIT now has eight campuses in seven cities, a student population of more than 35,000 and faculty base of 2,887. In addition to Information Technology, the Institute offers several bachelor, master and doctoral programs in engineering, basic sciences, management sciences and architecture. Dr Zaidi’s professional experience spans 36 years in a diverse range of fields. The establishment of IT ventures and development of IT policies remains the epic highlight of his career. His expertise ranges from devising Build-Operate-Transfer (BOT) mechanisms to Technology Commercialization and Utilization, Project Planning & Management, Industrial Information Networking, Operations Research, System Designing, Technology Policy Analysis, Technology Monitoring & Forecasting and Technology Transfer. Dr. Zaidi is an experienced educationist. In the early 1970s, he earned two master degrees in Physics and Mathematics from the University of Punjab. In the early 1980s he successfully completed another master degree in Operations Research from University of Birmingham, England (UK) and subsequently earned a doctorate from there, specializing in Optimization of Algorithms on Networking. Before assuming the leadership of CIIT, Dr Zaidi served in many distinguished high profile positions at the United Nations (UN) and in the Government of Pakistan. During his association with the UN, Dr Zaidi served as Advisor to the Malaysian Government and developed the country’s Information Technology Policy. Later, he was appointed as full time advisor with the United Nations ESCAP Asia and Pacific Center for Transfer of Technology, where he contributed significantly to the enhancement of technology and information handling capabilities of developing countries of the region and also established a computerized on-line network of Asian and Pacific countries. During this period, Dr Zaidi undertook several advisory missions to countries like Fiji, Ghana, Indonesia, Malaysia, Nepal, Philippines, Sri Lanka, Tanzania, Thailand and Vietnam as a UN-expert on IT and helped them establish their technology transfer and industrial technology information systems. Dr. Zaidi introduced IT and Information Networking in the R&D organization of Pakistan as the Director General of the National Center for Technology Transfer, Government of Pakistan. The putting together the first ever draft on Pakistan’s IT Policy is one of his most notable achievements as the Scientific Secretary and Chief S&T with the Pakistan Council for Science and Technology. He also wrote two remarkable concept papers for the Government of Pakistan and COMSATS, which led to the establishment of the Virtual University (VU) and COMSATS Internet Services (CIS). In addition to his pioneering role for the Commission on Science and Technology for the Sustainable Development in the South (COMSATS), Dr Zaidi has participated as a resource person/consultant in many international seminars and workshops including the Asian Institute of Technology, Bangkok; the Asian Productivity Organization (APO), Tokyo; the Asian Development Bank (ADB), Manila; the OIC Standing Committee on Science and Technology (COMSTECH), Islamabad; the UN Economic and Social Commission for Asia and the Pacific (ESCAP), Bangkok; the Asian and Pacific Center for Transfer of Technology (APCTT), New Delhi; the United Nations Industrial Development Organization (UNIDO), Vienna; and the Islamic Educational, Scientific and Cultural organization (ISESCO), Rabat. He has also acted as the Workshop/Conference Chair at several international events in and outside Pakistan. These events were co-hosted in association with UNIDO; COMSATS; ISESCO; National Centre of Physics; Pakistan Telecommunications Company Limited (PTCL); Board of Investment (BoI), Government of Pakistan; National Science Foundation, USA; University of Illinois, Chicago; Purdue University; etc. Recently, in recognition of his commendable continued service to society, the Government of Pakistan has awarded Dr. Zaidi the prestigious national award “Hilal-i-Imtiaz” in 2014. He is already the recipient of another prestigious award “Sitara-i-Imtiaz” conferred in 2007. 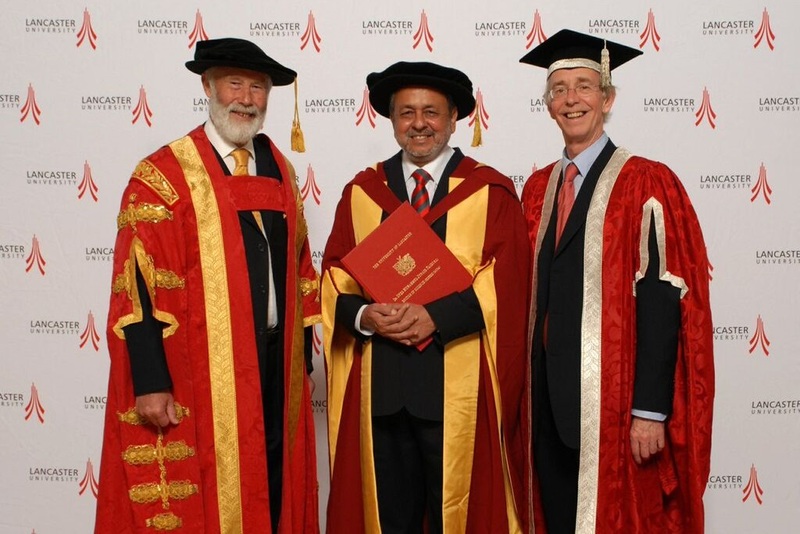 Besides, Lancaster University, United Kingdom awarded an Honorary Doctor of Science (D.Sc) degree to worthy Rector, Dr. S. M. Junaid Zaidi on July 19, 2012. Earlier, in 2001, he was awarded one of the highest IT awards, “IT Pioneer 1987-1995,” by NCR Corporation for his contribution to the promotion and development of IT. Dr. S.M. Junaid Zaidi served as Rector of CIIT from year 1998 to 2017. Recently he has taken over the responsibility as the Executive Director of the COMSATS (Commission on Science and Technology for sustainable development in South). Please visit http://www.comsats.org/index2.php?LinkID=9 for more details about Dr. S.M. Junaid Zaidi, Founder Rector of CIIT.